Part of Md. 210 remains closed after water main break in Prince George’s Co.
Callers to WTOP's Traffic Center reported seeing a geyser of water shooting more than a dozen feet into the air and spraying small debris across the roadway in both directions. 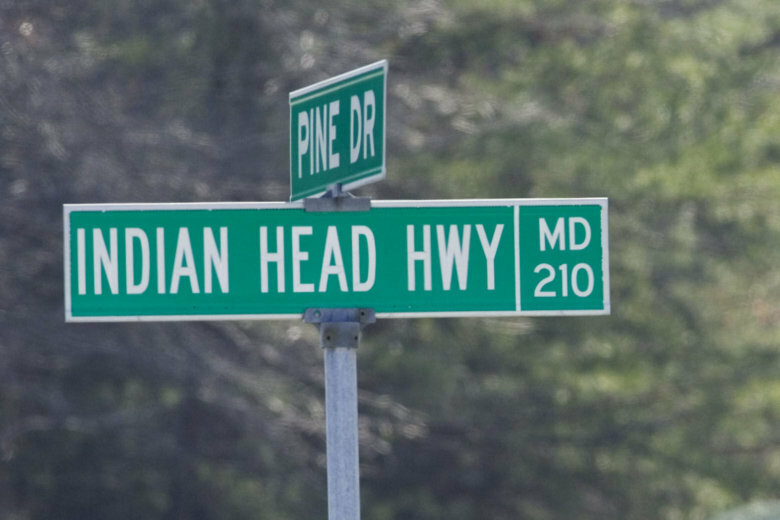 A portion of Indian Head Highway was closed Sunday afternoon following a water main break that sprayed a geyser of water over a dozen feet into the air. A single northbound lane on the left side of the highway reopened just after 12:00 a.m. Monday. The right northbound lane remains closed between Fort Washington Road and Swan Creek Road in Prince George’s County. It remains unclear whether both lanes will reopen before the Monday morning commute. Lanes were initially closed in both directions between Fort Washington Road and Old Fort Road. Southbound lanes reopened around 2:30 p.m. The water main break resulted in a boil water advisory for parts of southern Prince George’s County, including Fort Washington and National Harbor. The advisory impacted an estimated 23,000 people. Callers to WTOP’s Traffic Center reported seeing water spraying and carrying small debris across the roadway. The geyser was caused by a broken 36-inch water main, according to the Washington Suburban Sanitary Commission. “We will make repairs as quickly as possible but please keep in mind this is a large main and it could take longer than a typical repair because of the size,” WSSC said in a tweet. The dramatic footage looked familiar to WTOP Traffic reporter Dave Dildine. “This geyser reminds me of the scene along Connecticut Avenue in Chevy Chase six years ago when a 60 inch main ruptured, sending a plume of water several dozen feet into the air near Chevy Chase Lake Drive,” Dildine said. That water main break caused a massive sinkhole and the damage took several weeks to repair, Dildine said. Below is a map of the area of the closure.